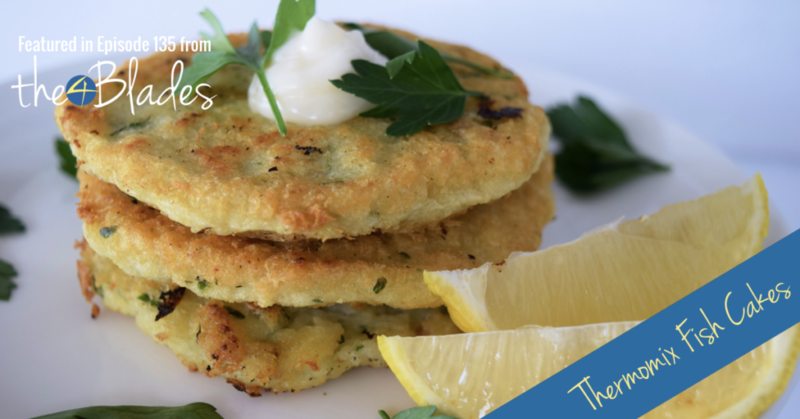 In Episode 135, we share three delicious Thermomix ideas that utilise frozen food. We refer to these foods as the freezer loiterers. The foods that clog up your freezer. We’re talking frozen fish fillets, frozen berries, bananas, chicken. All the loiters that hang around in most family freezers. Fish fillets. They are an absolute bandit for rattling around the freezer. They seem like a good idea at the time but then… Nothing. The madness ends today. These fish cakes are delicious. We used frozen cod which we got from the supermarket. Using different fish is going to affect the taste, however if you use a firm white fish you should be fine. Tenina mentioned this recipe on a recent podcast where we got some of our fave Thermo Mixers to tell us about their go-to quick dinners. This really is a super quick and tasty dinner that is just like a bought one. Tenina calls this style of meal ‘fake-away’. we love it. We omitted the kaffir lime leaves and used brown sugar in lieu of palm sugar (more for cost effectiveness and convenience than anything else!) It worked great! For an environmentally friendly brekkie bag, re-use your ziplock bags or use containers each week. 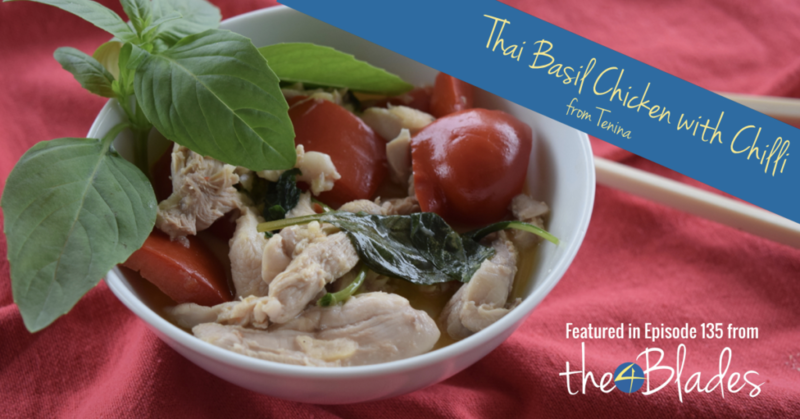 You can freeze the Thai Basil Chicken for double the freezer efficiency. Make sure the frozen fish is semi thawed otherwise you could damage your blades. 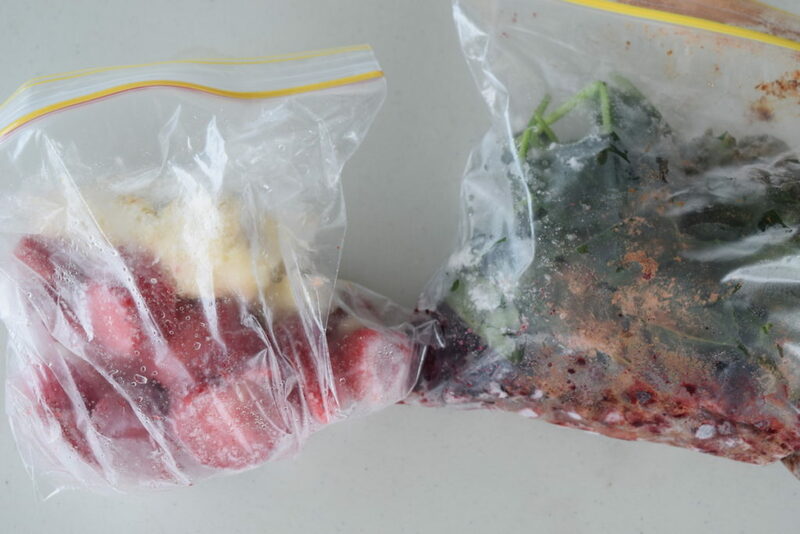 Do you have any tips and tricks for using up freezer food? Leave us a note in the comments below! Soooo pleased to have stumbled upon your podcasts – laughing out loud here in London! Peas – loiterers! Am THINKING about getting a Thermomix and on a big research jag. I might listen to your podcasts even if I don’t get a Thermomix! Oh that is so good to hear – thank you so much for letting us know, that has made our day!